After the clear victory at the assignment of the Olympic Games of 2016, Rio de Janeiro will be the focus of attention of every sport lover during the period 2014-2016. The Brazilian metropolis beat Madrid at the final IOC gathering in Copenhagen, after already having beaten Chicago en Tokyo in the first two rounds. The IOC president, Jacques Rogge, announced the news. It’s a historical decision, because it‘s the first time ever that the Games will be held in South America. Transport and safety were the weak points in the ‘Rio file’, but the Brazilians still have six years to improve on those points. They will have a final rehearsal during the FIFA World Championship in 2014. 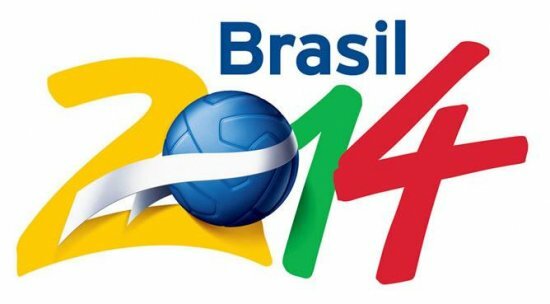 Rio will also play an important role during the FIFA World Cup 2014. To exploit the full potential of the city and thereby having more chance at becoming the centre of the FIFA WC, Rio is counting on an investment of 3 billion Euros. The priorities consist of the renovation of the Maracanã stadium, the construction of the high-speed train between Campinas- São Paulo-Rio de Janeiro and the improvement of the arrival and departure halls, runways and security at the Antonio Carlos Jubim airport. Despite the changes that were made for the Pan-American Games in 2007, more than half of the sport facilities still needs to be built and a quarter of the facilities needs to be renovated, adjusted or modernized. The expansion of the transport network will form the top priority. The current metro network, that only consists of 37 kilometers, doesn’t connect the centre of the city with the coastal area Barra da Tijuca. In this part of the city an important share of hotels and sport facilities will be located. Rio will invest 5 Billion Dollars to create a bus line between Barra da Tijuca and the nearby beaches of Copacabana, Ipanema and Leblón. The final goal consists of that in 75% of the cases the athletes can get to the stadiums within 25 minutes. For the spectators it will be within an hour. Even though the majority of the games won’t be held nearby favelas, there still are a few areas that need to improve on safety. Rio will be focusing on this the next couple of years. The extensive coastlines and many lakes make Rio an ideal place for water sports. But an important condition is that there will have to be a huge investment to reduce the existing pollution. Areas like Bahía de Guanabara en Lagoa Rodrigo de Freitas need to be studied in detail. The Federal government has provided 4 Billion Dollars for water sanitation, meanwhile the organization committee promised to plant 214 million trees in the Rio de Janeiro state to neutralize the CO2-emmison as a result of the Games. A big amount of complexes will be built, amongst which the Olympic Village. These complementary complexes will amount for 25.000 of the 48.000 needed rooms. Furthermore there are plans to invest 210 million Dollars to revitalize the city’s biggest port. Are you wondering how your company can profit from these opportunities? Don’t hesitate and contact us at our head office in Rotterdam without any form of engagement.